No matter how tight you cinch that belt it never seems like enough. Squeeze another few dollars out of the budget and they′re eaten up by rising prices at the pump or at the checkout. It doesn’t make sense, everyone′s hurting and yet prices keep going up. There is a way out; a way to stop sinking; a way to not just tread water, but to actually start to get ahead. 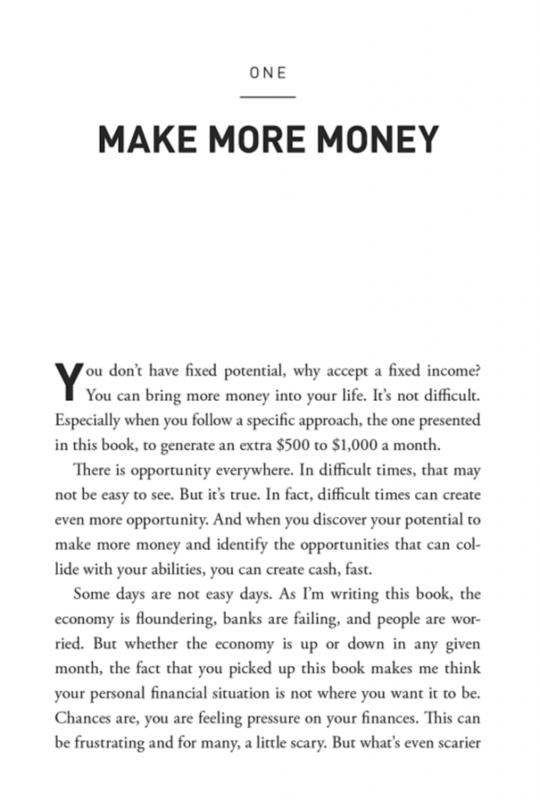 There is a way to get some fast cash that will make a real difference in your life. It′s not a magic investment formula or some money saving gimmick. You just have to keep doing what you′re already doing…but in a smarter way. 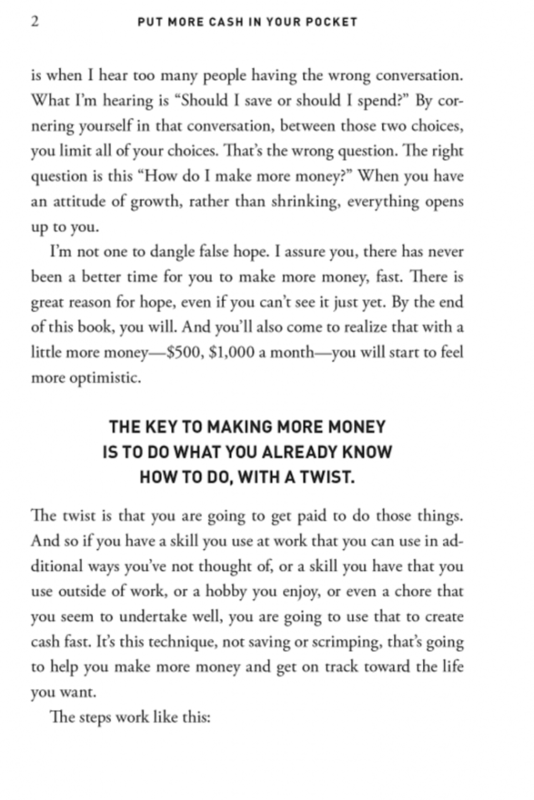 And the only thing you have to give up is your self-defeating attitude toward money. What′s the answer? 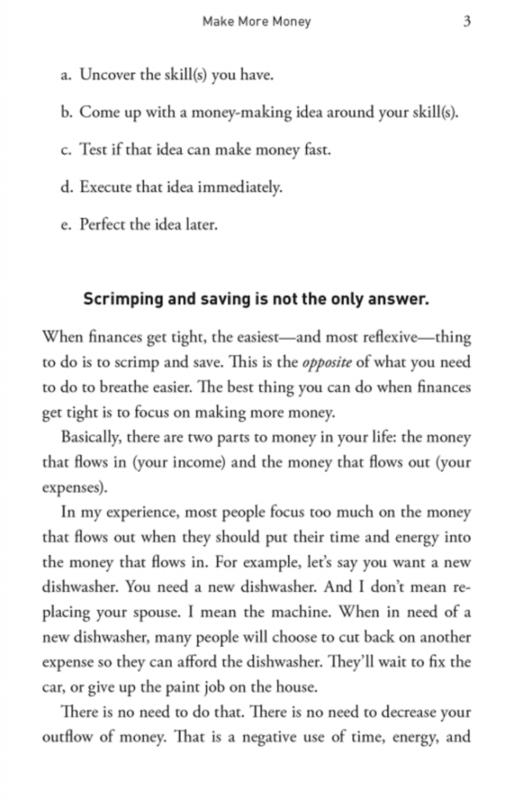 Stop worrying about saving money– and start concentrating on making money. 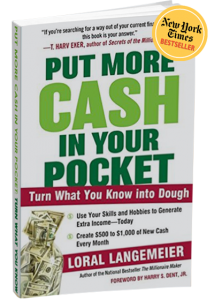 In this incredibly timely book for a moment when everyone is looking to make a little extra dough, highly sought-after money management expert and speaker Loral Langemeir empowers readers to stop saving, stop sacrificing, and start making money by charging for what they already do — by turning the skills, hobbies, and chores that are part of their everyday lives into a “21st Century Lemonade Stand”-a money-making business that requires no business plan, no capital, no investment-just your creativity and the willingness to ask for the cash. Loral′s approach is simple, straightforward, and proven and teaches anyone how to easily make $1000 more a month.